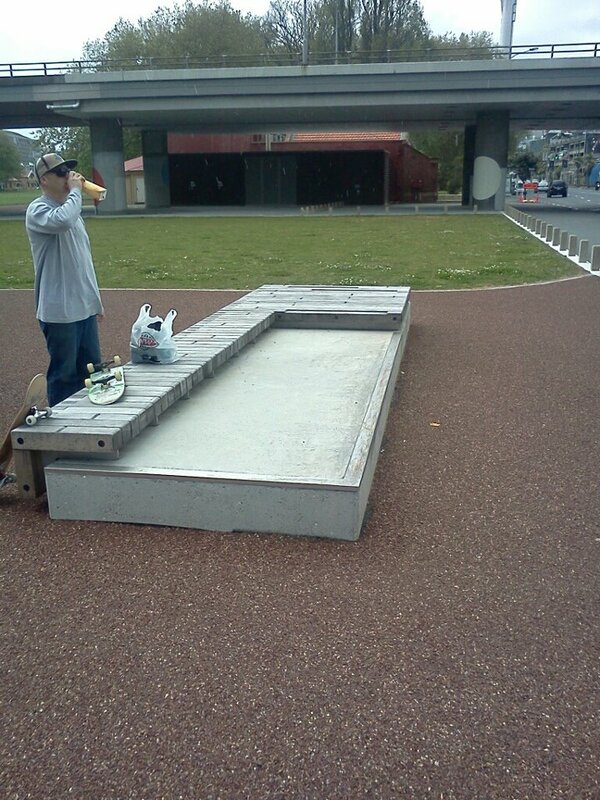 I am a skateboarder, and while out for a roll with my partner in crime (pictured drinking a fruit juice, below) today we came across this concrete block - which I believe represents a textbook study in conflicting business requirements, and is proof that the phenomena isn't limited to software engineering. It's actually a fantastic idea, and one that has been used recently in other parts of Auckland and Wellington cities, I've noticed. Skateboarding is encouraged by doing this; which I think enriches the city's culture and enables creative/innovative use of features of the urban landscape, that would otherwise be for aesthetic purposes only. 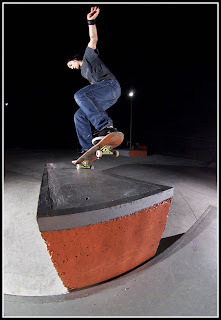 So, yes - putting the metal edging on the concrete block is a great idea - full credit to whoever thought of that. 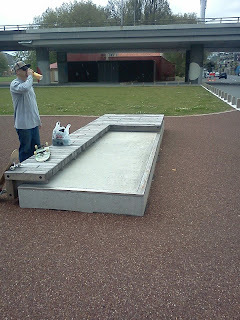 And it works really well, right up to the point where the pavement surrounding the block has been carpeted with a very fetching, coarse red gravel - rendering the ledge un-skatable (gravel doesn't take kindly to skateboard wheels). No doubt there is a satisfied councilperson blissfully signing off on a several thousand-dollar invoice to have metal edging added to this concrete block, while quietly patting themselves on the on the back for promoting urban culture and enabling a creative environment. And good on them too, that's awesome - maybe just give those business requirements a(nother) once-over before signing-off next time, aye people? The moral of the story? Technology people; take consolation in the fact that you're not the only ones who suffer from conflicting business requirements!